Building distance to water valve? My water valve is in my back yard (I still need to actually locate it but I've seen it before) and I want to build a shed in that general area. I emailed the city with a few questions and they were able to answer all except for the water valve, was told to contact public works. Called the city to get public works ended up being transferred around till I ended up at someone's voicemail and left a message and never got an answer. Just wondering if anyone here happens to know what the rule is. I'm sure you can't outright cover it, and there is probably a requirement to how close you can build to it. My guess it like 2 feet. 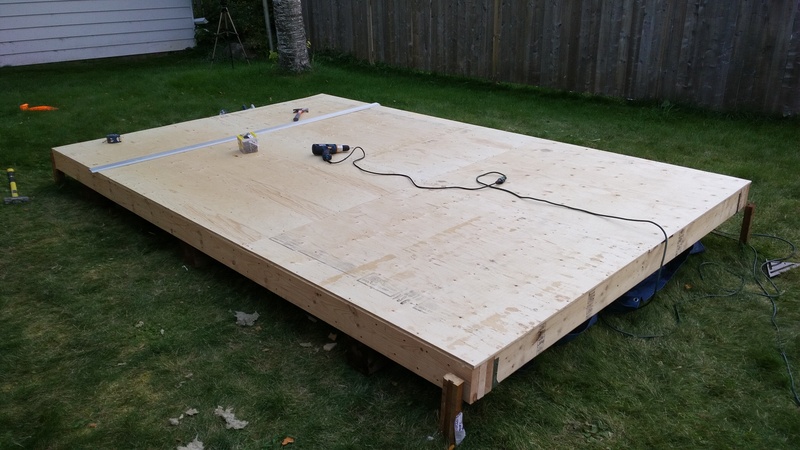 I'm hoping it does not actually matter because it may end up being right where the shed will go, so in that case I'd just make a hatch in the floor to access it. No idea about distance but, I doubt they will allow you to cover it. I finally pursued this again this year and got a response, basically you can't cover it at all, even if it's movable, as I was hoping if I just make the shed easy to move (Ex: with a big forklift or something) that they'd say it's ok, but it can't be covered at all. I was then sent to another department to get more specific on distances to house etc. - 1.2 metres from house - this is the part that saves me, I figured it was more than that so the spot where water valve is was really the only spot that made sense. That opens more options. I recall being told verbally it was 6 metres from the valve but that seems way too much so I might be remembering wrong. Even front lawn valves are often closer to the house than that, some front yards are not even that big. Based on verbiage of last email it did not mention anything specific, just that it can't be covered. I imagine you want to give enough distance that a backhoe could dig without the building caving into the hole. Cross that bridge if ever it actually needs to happen. Basically in my case I'll just put the shed in a completely different spot and play things safe, knowing that the distance to house is 1.2metres which opens up a few extra options. Figured I'd share as it might help someone else. Re: Building distance to water valve? Under 108sqft so no permit needed. Here's the gazebo that I did a few years back and didn't need a permit for the same reason.